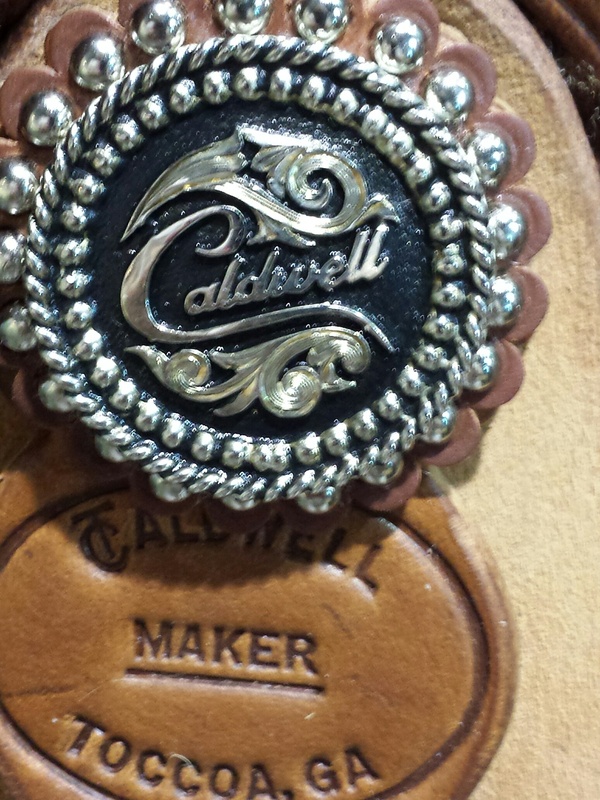 Home - Caldwell Saddle Co.
We craft & repair beautiful performance saddles. Come visit our tack shop in Toccoa, Georgia today. Welcome to Caldwell Saddle Company™. Tom and Charon Caldwell have been building saddles for over 20 years. They have owned reining and cutting horses for 25 years. Tom enjoys the study of Western Heritage while Charon is a frequent instructor at universities and equine seminars throughout the south. Caldwell Saddles™ and tack are geared to the working horse and rider: cutters, reiners, barrel racers, team penners, and ropers, etc. Our products are divided into several areas of interest. Because they must be tailored to the intended usage, saddles, bits, and stirrups are treated separately from tack and personal items. In addition, there's an area where factual information is provided regarding equipment fit, materials and hardware considerations, and other areas of interest and concern to the rider. As well as custom saddles and custom headstalls and breast collars, we carry over one hundred pairs of spurs and over three hundred bits. We also have custom bit and spur makers who can make anything that you might require. Several hundred quality repairs, restorations, and replications are constantly completed in our shop each year. We are trained in the Sheridan style of tooling and can duplicate any tooling you like for your new chaps, spur straps, bridles, or breast collars to match your existing saddles of any type. This web site is designed to help you get to know us, as well as to find what you need, along with the DVD we now offer to show a lot of what this site discusses. We do recommend that you study this site and view our DVD so we can be on the same page when you call to discuss fit, requirements, or just to find out what is currently new in training gear and how to use it. We also can suggest the correct bit for your problem horse. We stock much more tack than is shown currently, both in sizes, colors and variations. If you don't see what you want, call or e-mail us ... chances are we've got it or we can get it. We are now offering Don Orrell Stirrups for our saddles! They are American-made, premium handcrafted, and beautiful! DON'T FORGET TO OIL YOUR SADDLES! We consider certain aspects of these saddles dangerous or potentially unsafe. We have chosen not to re-sell these for the saftey of our customers and do not wish to be held liable for an injury. Though our company tries to give a finished date for your custom saddle order, these dates can vary due to numerous events and causes. "Any order shipped within a month of it's due date is considered timely." Delays can be caused by specially ordered items for your orders' production. We cannot be held responsible for delays from our vendors. Delays can be caused by your due date falling in the same month as our large World Show events. Also delays can be caused by customers ahead of your order requiring lengthy and involved design or tooling. It has come to our attention that Circle Y is selling a saddle they are calling the "Circle Y Caldwell Trail Saddle". This saddle is in no way affiliated with our company or our product. This is not a real Caldwell and does not meet our standards for quality and horse fit. Please DO NOT purchase one of these saddles expecting to receive a true Caldwell Saddle! Education, experience, training, and a dedication to excellence. A graduate in engineering and design at Georgia Tech, Tom's first career took him into the upper management levels of several large corporations not associated with riding or saddlery. His affection for the art and sport of horsemanship brought his first career change; he became a sales representative for several large saddle companies. With a bit of luck and demonstrated skill, Tom became the General Manager of Billy Cook Saddlery (Buford, Georgia), Billy's right-hand man, and leader of parent company Potts-Longhorn's most profitable division. 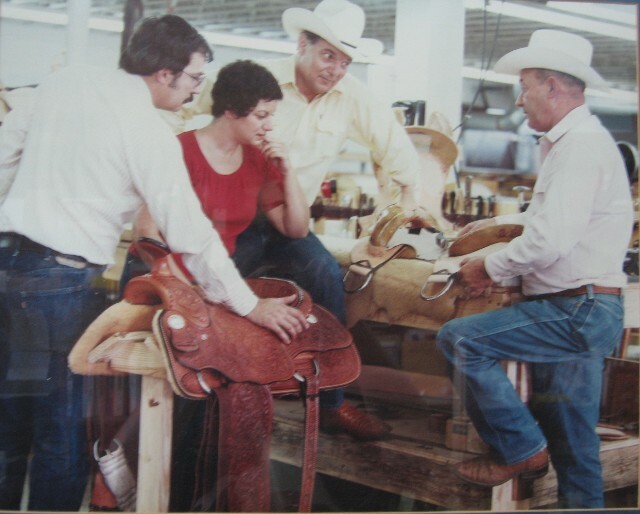 In 1986, Tom and Charon struck out on their own, establishing the Caldwell Saddle Company in Toccoa, Georgia. Tom has studied the Western Heritage for more than forty years and has been a rider for over three decades. His professional education, wide experience in the saddlery industry, and personal experience as a horseman give him insight not available to others who are less adept in one or more of these areas. Howdy...my wife Charon and I are saddlemakers...have been for over twenty years. My father told me "The best job in the world is one that you enjoy so much you'd do it for nothing, then learn to do it so well that people will pay you to do it." Well, that's what we've done. Charon and I have been members of the NCHA for close to 20 years and the NRHA for nearly as long. Being on both sides of the fence (owner, rider vs saddlemaker), we have developed a skill for knowing what makes equipment work and what doesn't. Charon is so good at it that she even gives seminars on saddles and tack throughout the South. Because we do not build with an assembly line, we only produce a little over a hundred saddles a year and it usually takes several months before we are able to deliver a custom saddle. Although we continue to build custom bridles and breast collars as part of the complete saddle package, Charon designs and arranges for the production of many of the tack items which we offer. The results have given us a loyal clientele who have made trips to the pay-window too numerous to list. Charon has ridden since she was four years old, and has been an artist specializing in equine and wildlife subjects since her childhood. Her educational background also is in engineering at MTSU in Tennessee. As an adult, she gained some reknown as a trainer of "problem horses". Her experience as a horsewoman, her training as an engineer, her artist's eye for detail, and her experiences with the "problem horses" combine to give her great insight into the proper design, fit, and function of the equipment associated with riding. She was fortunate enough to become an apprentice under Billy Cook for 7-1/2 years, who she considers one of the top saddle engineers ever in the industry. Today, Charon is an experienced saddle maker and leather worker, skilled in the technical and artistic aspects of her trade. She is a recognized expert in saddle design and associated fields, and is a popular lecturer and instructor at seminars, workshops, and the like sponsored by organizations ranging from universities to local riding clubs. Hello...our primary concern is in creating or finding the best construction and design for each item that gives the best ride for both horse and rider. Consequently, we stand behind everything we sell or recommend. We have found that many generally accepted products, currently used by riders and trainers, do more harm than good. Not only will we not carry those items, but we'll tell you "the why" about our SELECTions. We have searched this country to get the best prices on the right girth, the correct bit, not to mention the nicest harness leather training gear. We have tried them all on our own horses. If they don't meet our demands, we won't use them. We won't ask you to put something on your horse that we wouldn't put on ours. That's why we only offer those SELECTions which we endorse.